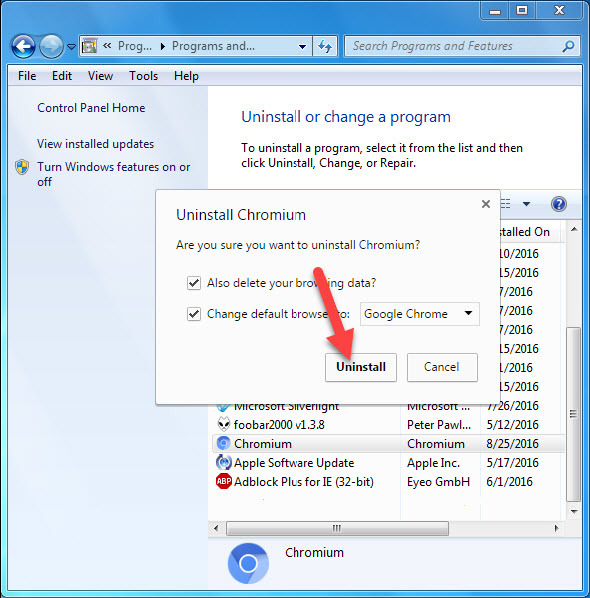 This article will show you how to remove and uninstall Chromium browser from your Windows PC. Let me explain first What is Chromium? Chromium is an open source web browser created by Google, it can be downloaded by anyone, modified, and then compiled into a working web browser. However, many malware writers create modified versions of Chromium in order to display unwanted advertisements on your PC. 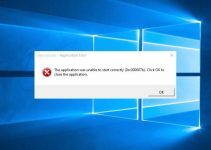 If your PC suddenly has the Chromium browser installed and you did not install it manually, then you most likely have an unwanted version of Chromium installed on your PC. According to users, Chromium uses tracking cookies and collects valuable information about its users. Hence I highly recommended you should uninstall Chromium in order to prevent the harm it may cause to your system. The easiest way to uninstall Chromium is to use Malwarebytes Antimalware, that’s what I do, it looks for Chromium then clean up leftover items after deleting. Or you can also remove Chromium manually. 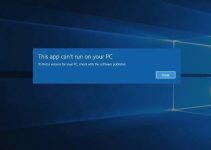 The first step, you need to end processes of the fake browser from Task Manager. 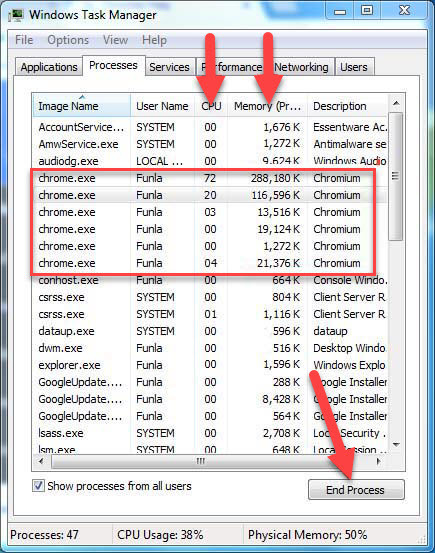 When the Task Manager occurs, switch to the Processes tab, then scroll down to finding the suspicious processes. Here, you may find several processes named by chrome.exe under the Image Name column. If you check the Description column on the right side, you will see that all of them are described as Chromium. Next, you highlight these processes, and click End Process. 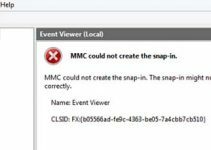 Note: If a small dialog box appears and asks if you really want to end the target process, you just select End Process to confirm it. Once all unwanted processes are stopped, you can close the Task Manager to go to Step 2. Press Windows Key + R then type control in the run box and press Enter. Then you select Uninstall a Program. 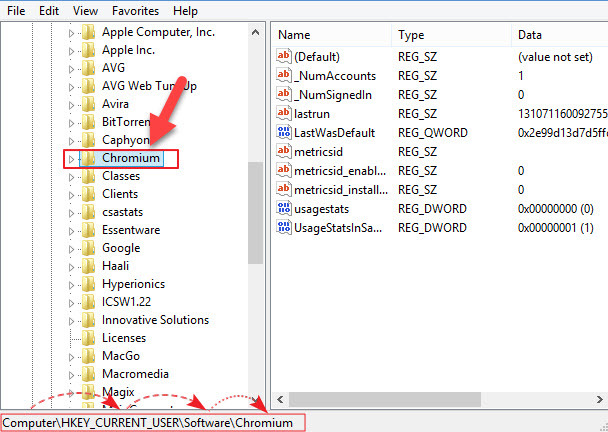 Locate Chromium then right-click it and select Uninstall. Click More tools > select Extensions. Click the trash can icon to uninstall it. In the left-bottom corner, you click More information link. 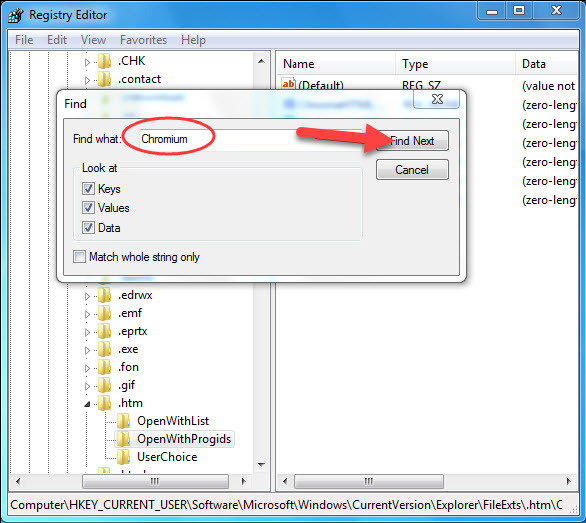 Navigate to the folder of C:\Program Files, look for and and delete Chromium browser’s folder. Go to the folder of C:\Users\[User Name]\AppData\Local, look for and delete Chromium browser’s folder. Next, you use the Search function to check if still there are other files or folders related to Chromium browser. If you look for some, remove them completely. 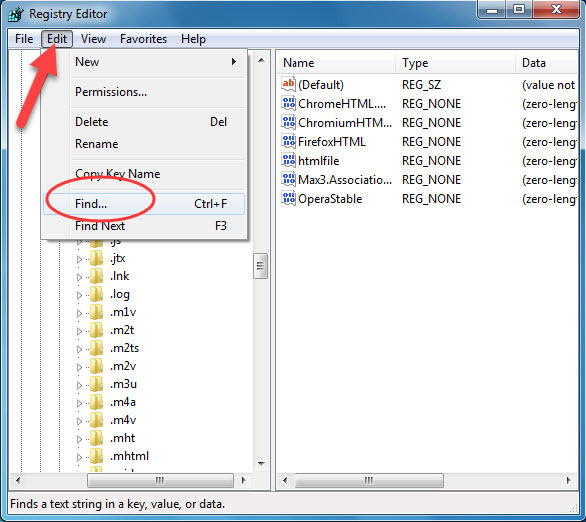 After removing the files, you open the Registry Editor to delete the unwanted registry entries. 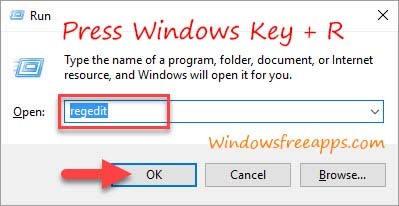 Pressing Windows Key + R then type regedit and click OK. When the Registry Editor pops up, go to two paths to remove the Chromium folder. You also need to look for any other entries related to the fake browser then remove them all. To do that, click Edit>Find option. When a search window pops up, you enter Chromium into the Find what field, and click Find Next button. You will see the related entries at the right side, you just delete them. Lastly, restart your system and check if Chromium browser has been totally removed.